Felting is an ancient craft that enjoys an endless variety of forms and uses. Felt Fashion captures the art and sophistication that is possible with handmade felt, while keeping it simple and attainable for anyone to master. Whether it’s a collar or an entire dress, each project is irresistible and brings felting to an entirely new level. The author demonstrates several basic felting techniques including: basic wet felting, needle felting, nuno, and punch needle felt­ing. For the more advanced fiber artist and sewer, she provides patterns and instructions for original clothing designs including vests, jackets, and skirts. 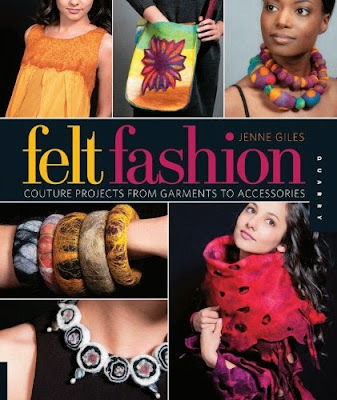 Felt Fashion is a standout from other felting books for its scope, originality, and its distinct ties to couture.